Sunday, August 21st, 2011 at 11:31pm. 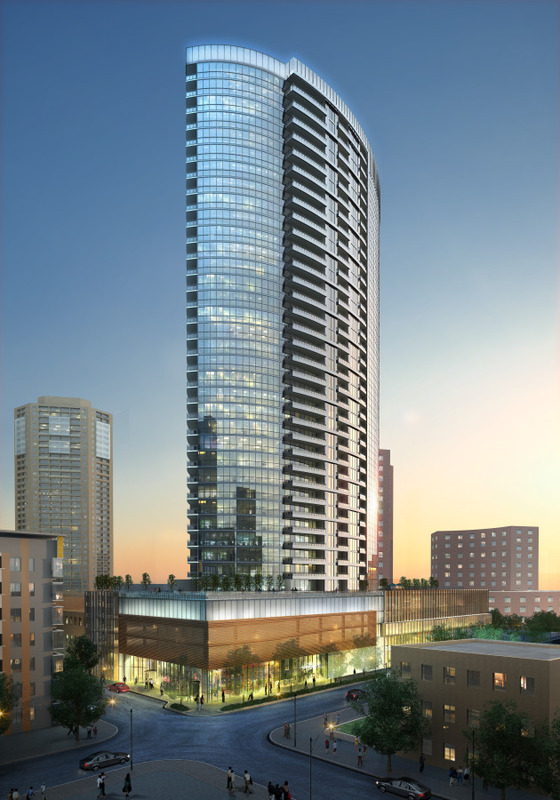 The past few months have been a flurry of development activity in downtown Minneapolis. The latest news comes from a developer based out of Chicago who has been responsible for a significant amount of real estate development across the country: Magellan Development. Plans call for 355 units of luxury rentals in a 36 story building that would be glass curtain wall in a sleek shape. Ammenities would cover the tower such as 24 hour doorman, pool and fitness center. If the developer gets approval from the city which could come in the next few weeks plans would unfold rapidly and initial lease up would start as early as the beginning of 2012. if all goes according to plan occupancy would start early 2013.